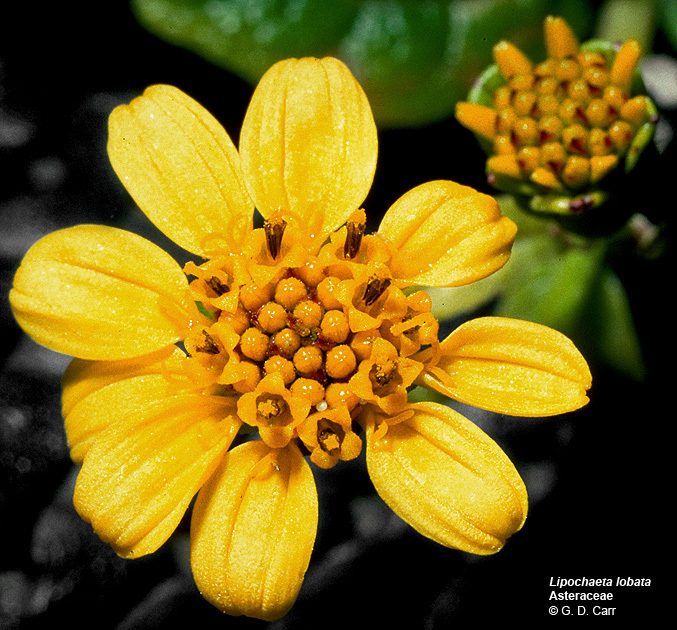 Lipochaeta connata, nehe, Ae Valley, W. Maui, endemic Hawaiian genus. 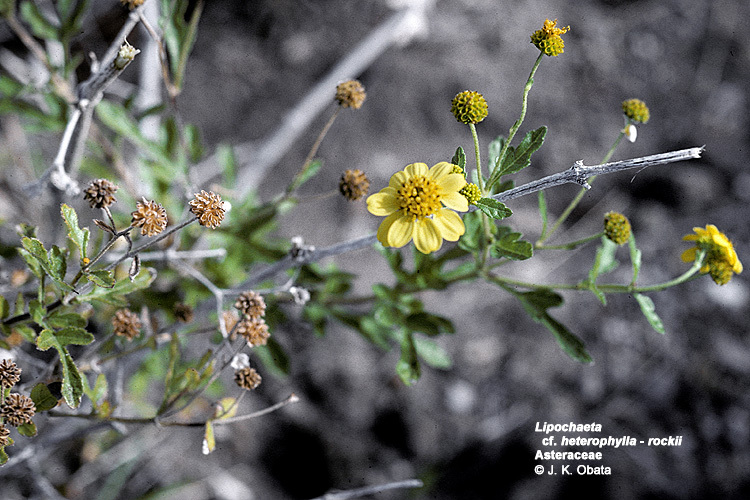 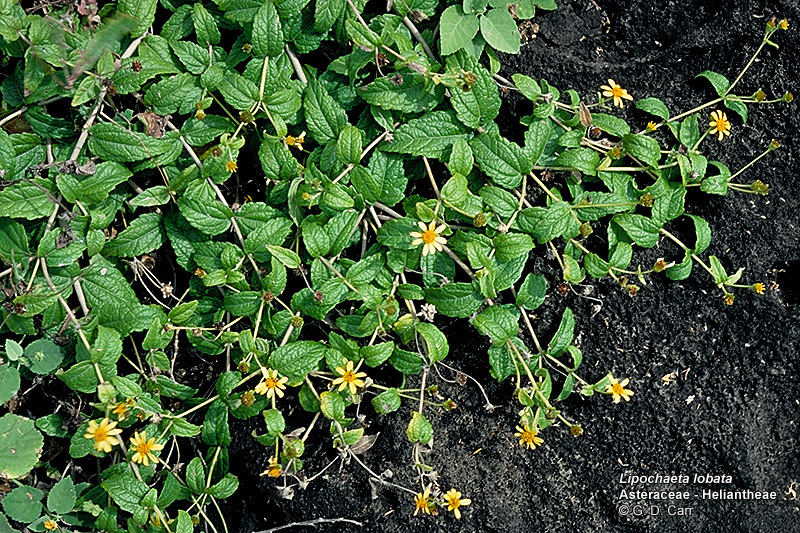 Lipochaeta lobata var. 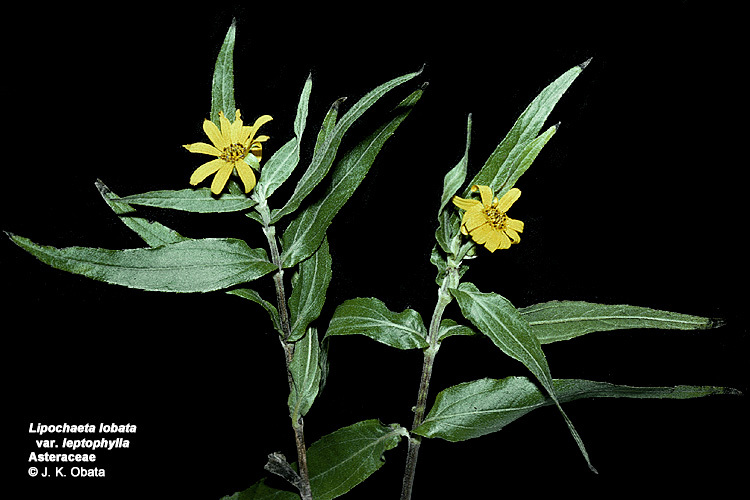 leptophylla, nehe, Lulalualei - Nankuli Ridge, O'ahu, endemic Hawaiian genus. 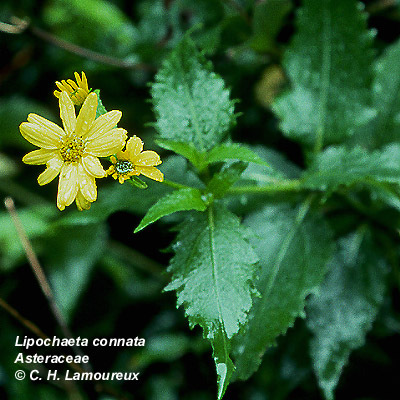 Lipochaeta lobata var. 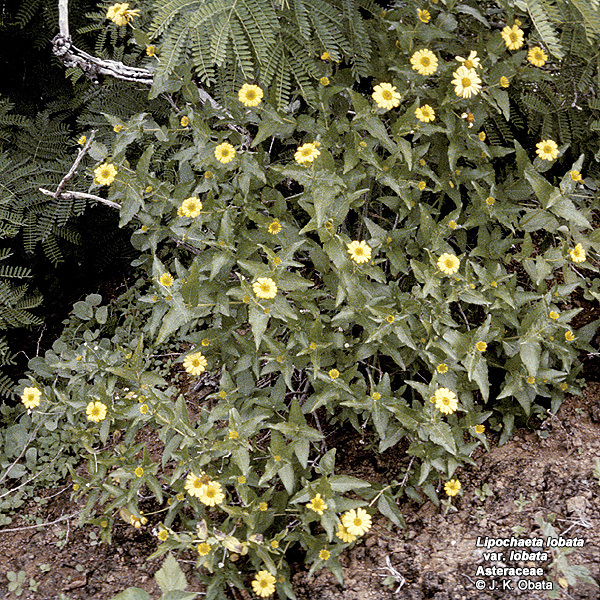 lobata, nehe, 1 - Diamond Head, O'ahu, 2-3 - Kaena Point, O'ahu, endemic Hawaiian genus. 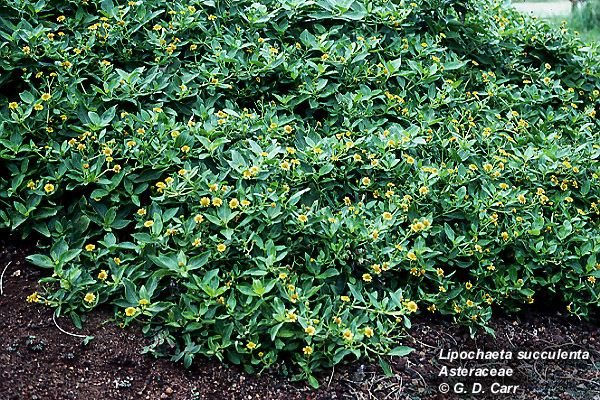 Lipochaeta succulenta, nehe, Maui Zoo & Botanical Garden, endemic Hawaiian genus. 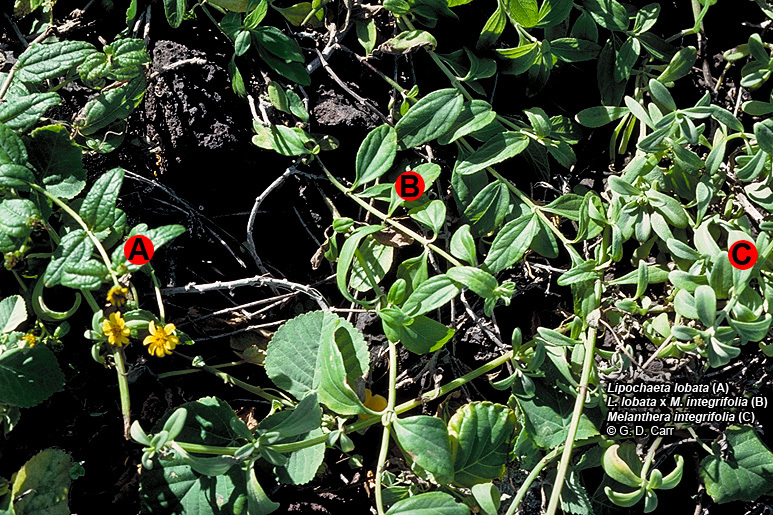 Lipochaeta lobata x Melanthera integrifolia, parents and intergeneric hybrid in nature. 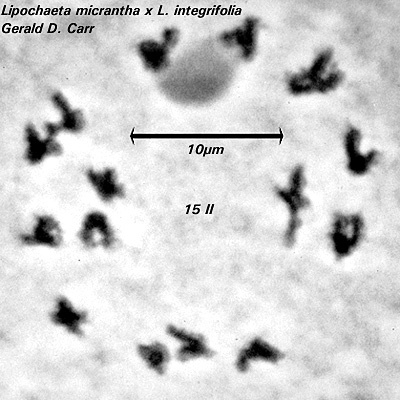 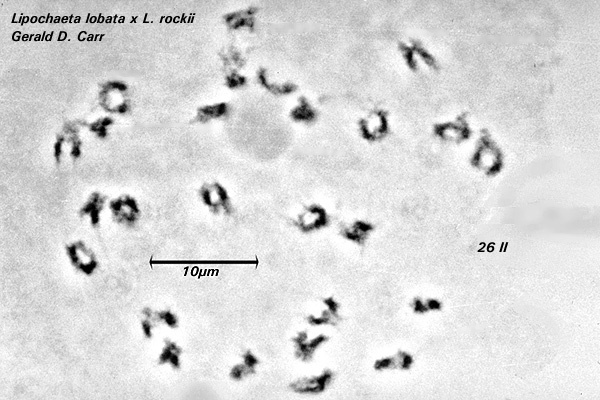 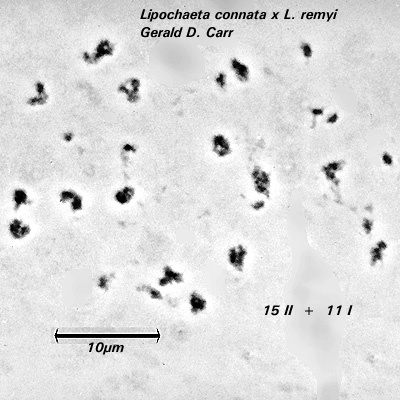 Chromosomes of Melanthera, Lipochaeta and intergeneric hybrid.